I used the Stampin’ Up! Jar of Love and Thoughtful Banners stamp sets to create a “hello” card to share with you today. My card design was inspired by My Favorite Things Wednesday Sketch Challenge 322. The colors and jar for my card were inspired by The Card Concept 68. I feel like my project is clean and layered. The die cutting on my card was inspired by The Paper Players PP334. I started by adhering a panel from the Tasty Treats Specialty DSP to a panel of Whisper White card stock with Multipurpose Liquid Glue. Then I cut the outside of the frame from Whisper White card stock using the largest square from the Stitched Shapes Framelits Dies. To get the rectangular shape, I placed my card stock and die so that one end was off the end of the cutting pad when I ran it through the Big Shot. Then I turned the panel around, lined up the “stitches” and ran it through again with the other end hanging off the cutting pad. Then I used a smaller square die from the Layering Squares Framelits Dies and I cut the center of the rectangle out (running the die through twice as described above). I placed the die cut frame over the Whisper White/DSP panel in the location that I wanted it and made some light pencil marks so that I could tell where the frame would be located on my final project. I removed the frame and then stamped the image from the Jar of Love photopolymer stamp set in Pear Pizzazz ink on the panel. I erased the pencil marks and then adhered the die cut frame over the card front with Foam Adhesive Strips. I stamped the images from the Jar of Love stamp set in Island Indigo, Pool Party, Crumb Cake and Pear Pizzazz inks on a panel of Whisper White card stock. I cut the images out with the matching Everyday Framelits Dies. I adhered the jar to the Whisper White card stock panel with Foam Adhesive Strips on the left side and Multipurpose Liquid Glue on the right and then I added the flowers and stems with Foam Adhesive strips and Glue Dots. I added a touch of Clear Wink of Stella over the flower images for a little shimmer. I stamped the sentiment and border from the Thoughtful Banners photopolymer stamp set in Island Indigo and Pool Party inks on a panel of Whisper White card stock. I punched the sentiment out with the matching Classic Label Punch and adhered the punched sentiment to the panel with Foam Adhesive Strips. I adhered the layered panel to a Thick Whisper White card base with Stampin’ Dimensionals and then added a Rhinestone Basic Jewel to finish the card front. I stamped the images from the Jar of Love stamp set in Island Indigo, Pool Party and Pear Pizzazz inks on a panel of Whisper White card stock inside the card. **I’ll be posting a little later tomorrow than I normally do. 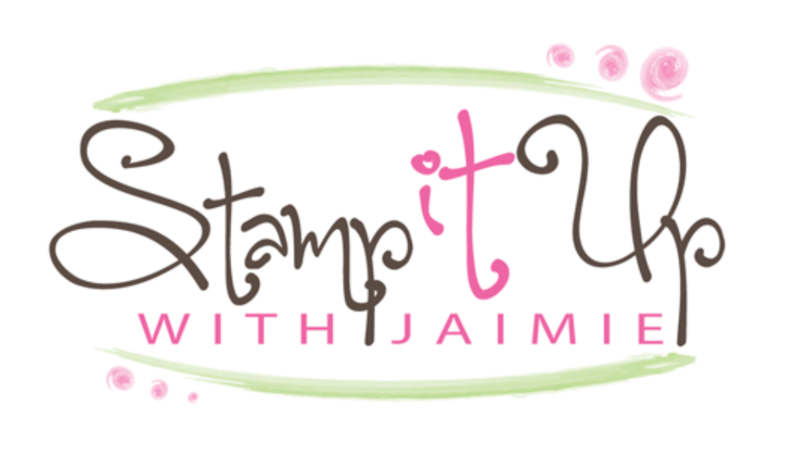 I’m taking part in a new international blog hop with a group of other Stampin’ Up! Demonstrators. Can’t wait to see all of their creations! For every $50 you spend (before tax and shipping), you get a FREE Sale-A-Bration product. That means it’s the perfect time to purchase those products you’ve had your eye on while earning more products for free. 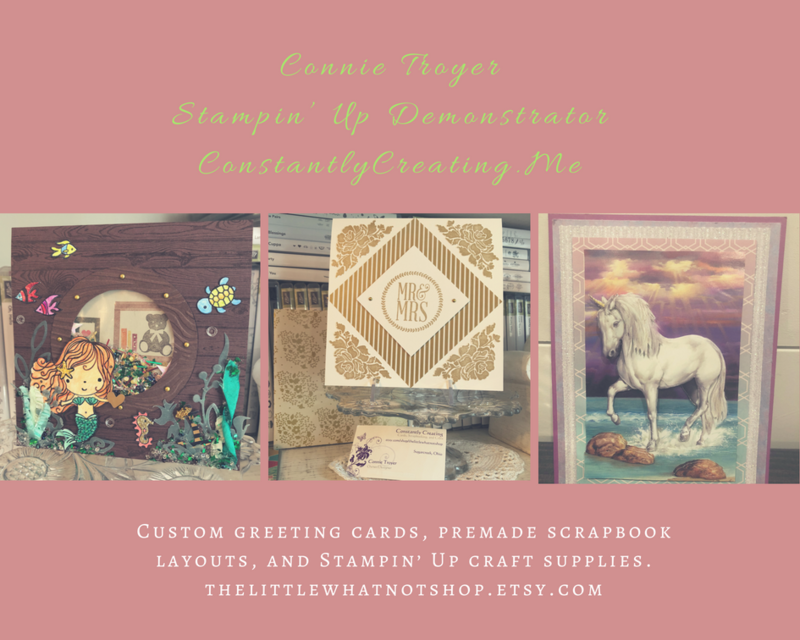 As an added bonus, Stampin’ Up! will have three new Sale-a-bration products available starting on February 21! This entry was posted in For a Friend, For You and tagged CAS card, hello card, Jar of Love. Bookmark the permalink. I love this card. I love the frame you made and the way you put the jar on. I also love the colors you used. I am going to try cutting the frame as you described, but doubt that I will achieve it. Ha. Oh well, just want you to know how much I appreciate all your cards as your designs help me make cards that look good. Thanks Jari! Here’s to hoping that we get rectangles in the next catalog!! 🙂 Although the squares really aren’t too hard to line up. The stitches make it really easy. I love this card… so fresh and pretty! What a great card! I love your idea. Not sure I could cut it out either but I’m going to try it! TFS! Absolutely fantastic sweet card! The colors are amazing. Thank you for joining us at Paper Players! So clever Amy! I love the look, colors are so nice and clean looking! Love how you used the frame! Pretty card! Ooooh, I love the die-cut frame you’ve created and the gorgeous blues and greens of your jar. Beautiful use of the sketch–so glad you joined us at the Paper Players! I love all the dimension going on in this sweet design! Love it! Woops – forgot to say thanks for joining in The Card Concept! Perfectly beautiful as always Amy!!!!!! Thanks for playing with us at The Paper Players. Oh, how fabulous! Love all the dimension with that popped up frame. Such a gorgeous little jar of flowers. So glad you could join us at The Card Concept! I LOVE this gorgeous arrangement with the beautiful jar! It’s perfect for our challenge at The Card Concept this week! Thanks for joining in!